Song Yi get ready to do her stunt as she drive down from the ledge. Soon, the pulley lose a screw and the wire snapped out of place. Song Yi slammed onto the wall before she landed on the ground. 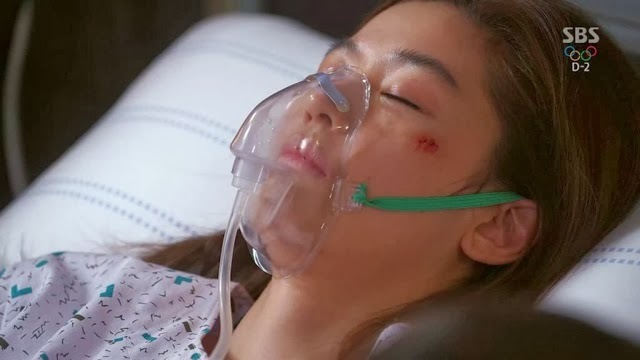 The next moment, Song Yi was send to the emergency room with a critical condition. The news spread like fire as the media immediately reported the mishap. Jae Kyung read the headline news about Song Yi mishap with a satisfied smirk on his face. 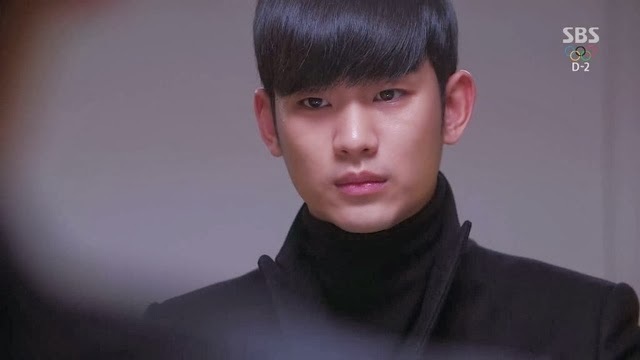 At this moment, Min Joon stormed into his office, having escape from the police interrogation. He was filled with rage, judging from the shattering glasses and the gust of wind which accompanied him as he faced Jae Kyung. In a panic mode, Jae Kyung reaches to press a button underneath his desk. 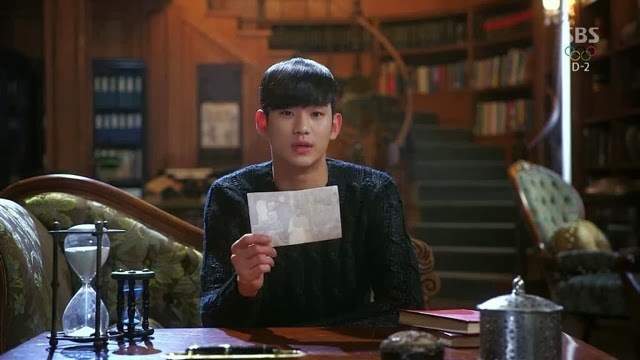 However, Min Joon saw through the motion and send the desk flying across the room. Min Joon zoomed forward and reached for Jae Kyung throat. Jae Kyung tried to hold his composure and laugh on his face. 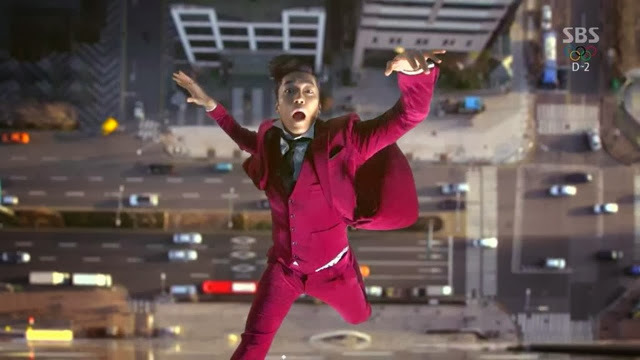 In a split second, Jae Kyung was stunned to find himself at the building roof. Min Joon dangled him over the legde and said that he will kill Jae Kyung just like how he kill Song Yi. He let go of his hand and Jae Kyung was left dangling in the air. Min Joon bellowed, "DIE!" One week before the incident, Lawyer Jang was walking down the campus. Someone knocked over him and planted a bug on his briefcase before returning it. 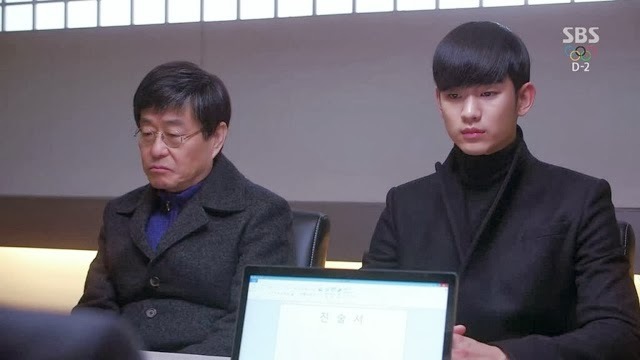 Lawyer Jang met Min Joon as Jae Kyung listened intently to their conversation especially regarding Min Joon supernatural power. He also found out another important information about Min Joon weakness. 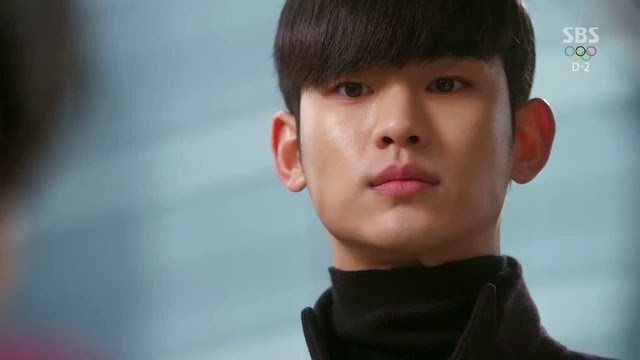 Yes, Min Joon had to face some consequences if he ever use his power to hurt people. Then he called for a meeting with Min Joon as what was shown previously. Min Joon promised to shoulder the blame in return for Song Yi safety. Hwi Kyung overheard the conversation between his parents. His mum was also curious about the sudden disappearance of Jae Kyung ex wife. She find his son difficult to understand too. She mentioned about Jae Kyung childhood incident and was cut off sternly. Hwi Kyung pretended that he did not overheard their conversation and talked about visiting his eldest brother grave. His father avoided his gaze, while mum offers to accompany him. Two days before the incident, Se Min and her mother met with CEO Ahn. Her mother took this moment to brag about Song Yi recommending Song Yi for a supporting role. CEO Ahn stated that in the past, Song Yi always insisted that Se Mi will be cast along with her in drama. Apparently, both the mother and daughter was unaware of this. Se Mi mother demand for more staffs on the set to show the difference between Se Mi and Song Yi. The investigator traced Jae Kyung and Yura cellphone and discovered the chaebol's family villa. Jae Kyung had planted a mole in the police department who immediately informed Jae Kyung about their findings. Jae Kyung ordered a clean-up crew to plant some Min Joon items in the house. A day before the incident, Seok and Dectective Park arrived at the Villa. The caretaker said that Jae Kyung does not live in this Villa, instead he recognized Min Joon as the person who stayed in this Villa last summer with Yura. Despite the clear evidence, they still find everything suspicious. Seok received a call from Min Joon who stated that he is surrendering himself. They could not apprehend his action. During an interview, Min Joon talked about time. He stated that he did not think of time as precious until now. He is willing to give up everything to stay at Song Yi side but even that will not work. At the balcony, Song Yi looked at the billboard which features Se Mi advertisement. She looked at the sky and wondered if Min Joon really came from the star. Min Joon listened to Song Yi mumbling to herself at the balcony. 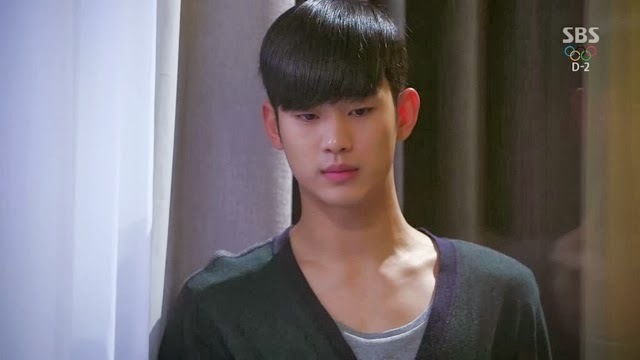 Min Joon continued with his interview where he revealed that he is afraid that he could not protect the person that he love. On the accident day and also the day when Min Joon surrender himself. Song Yi received a call from the director to come for filming with a blare-face. Song Yi complied and went for filming with her mother and dressed plainly. They ran into Min Joon and the atmosphere was chilly. Song Yi and her mum took the lift down first while Min Joon waited for the next. Min Joon ears picked up on Song Yi conversation with her mother. Song Yi confessed that she like Min Joon and is going crazy. Next, Min Joon walked to the police station despite Lawyer Jang protest. Min Joon begins his confession, starting from the cruise incident. Lawyer Jang listen silently at his side. Arrogant Se Mi arrived with people attending to her like a diva. Whereas, Song Yi was largely ignored. Bum tried to sneak a few hot packs for Song Yi but Se Mi noticed that and keep him from passing the hot packs to song Yi. Hwi Kyung arrived at the set in a fancy car. Talk about star treatment, Hwi Kyung ordered a gourmet spread in the name of Song Yi. Hwi Kyung did not realize Se Mi is on the set and was upset with him. Hwi Kyung decided to keep a distant between Se Mi and himself. Song Yi said that she should do that too and Hwi Kyung replied that it was too late now. Back to the scene when Song Yi get ready to drive down the ledge. Hwi Kyung saw a glimpse of killer secretary but the image was fleeting. He was nervous about Song Yi stunt. Indeed, the wire ran loose as soon as Song Yi leaped down, Hwi Kyung dashed forward and rescued Song Yi. As a result both of them were seriously injured. Everyone on the set was in a shock. Song Yi mother was distraught with the thought that there is a possibility that the hospital could not find a match for Song Yi rare blood type. Fortunately, Song Yi father overheard this incident and rushed to the hospital. The public was generally unsympathetic to Song Yi situation and that angers Bok Ja. 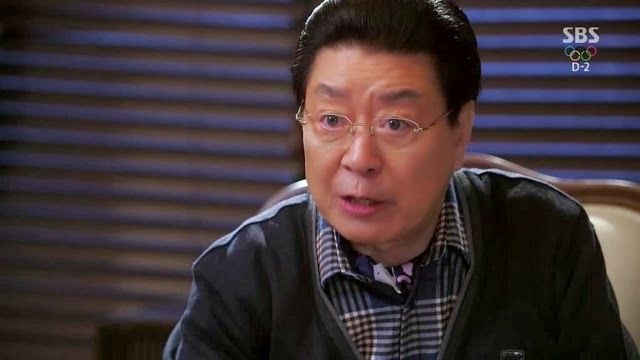 Midway through the interrogation, Dectective Park came in with news about Song Yi critical condition in the hospital. Min Joon immediately raced out of the room without anybody notice that. 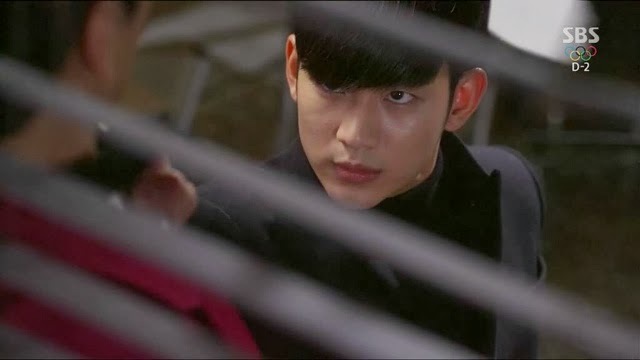 Finding it suspicious, Dectective Park checked the CCTV and was surprised to find Min Joon disappeared into the thin air after he open the door. We were back to Min Joon confronting Jae Kyung. Jae Kyung was dangling in the air as he argues that Min Joon could not possibly kill him because he simply can't, or else he will die too. If he died, nobody will be able to protect Song Yi. Yet, Min Joon bites out." If I can't stop you, I don't care if I die." Min Joon let go of Jae Kyung and he fall backwards down the tall building. Jae Kyung eyes open wide and he threatened to make arrangement to have Song Yi killed. Jae Kyung continued to fall and was stopped from the free fall by Min Joon just when he was approaching the ground. Min Joon warned Jae Kyung to pray for Song Yi safety or else he will be back to kill him. Jae Kyung say, "how dare you.." But was cut off by Min Joon, "How dare you, I show you who you dare to mess with!" Song Yi make it through the surgery safely. Her mother anger melted and invited Song Yi dad to stay longer by her side. He thought that Song Yi does not want to see him and was told that Song Yi actually misses him a lot. Dad stayed by Song Yi side, clapping her hands. In her unconscious state, Song Yi dreamt of herself as a teenager. Whenever she was afraid, she will called her dad. However, the adult Song Yi called a different name now and that is - Do Min Joon. Song Yi dreamt of a future with Min Joon. She had found someone she loved more than her dad. She wanted to spend the rest of her life with Do Min Joon, even when he shove her away. When her dad dozed off in the arm chair, Min Joon arrived and planted a sweet kiss on Song Yi forehead. That should teach a lesson to Jae Kyung, NOT to mess around with our Alien hero! Yes, I am happy to see Jae Kyung frightened expression. Three cheers for Do Min Joon coolness! He is so hot when he stormed into Jae Kyung office. The special effect was so good, as though I was watching a movie. Bravo! I expected Song Yi to escape death but it was still great to see her dreaming in her unconscious state. I like it that she is now comparing Do Min Joon to his father. A young Song Yi longing for her father protection and now an adult Song Yi longing for Do Min Joon protection. Poor Hwi kyung, I know as a second lead actor, he will not end up with Song Yi. 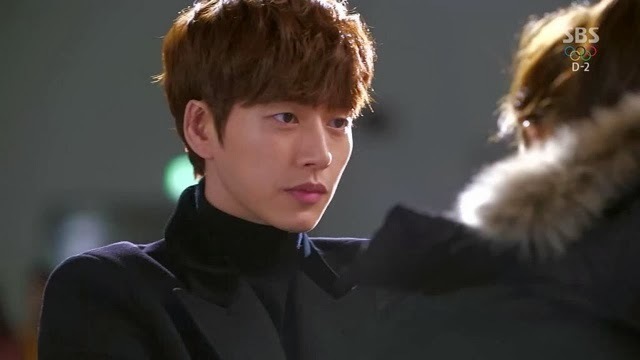 Despite all the rejection, Hwi Kyung still sacrifice himself and protected Song Yi with his life. That was really touching and I admire his character. 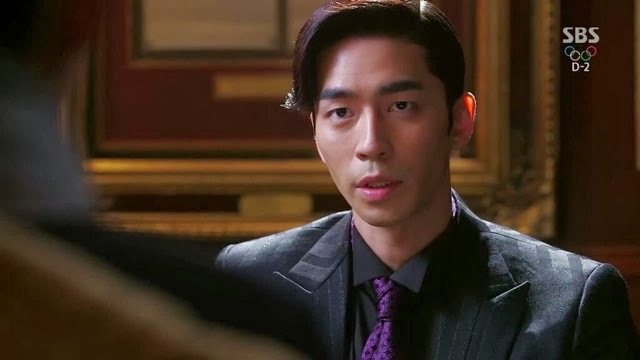 At least Hwi kyung has a meaningful purpose in this drama and that is helping to expose his brother crime. If only Song Yi father knows how much Song Yi misses him. Anyway, I am glad that her father came back and at the right time too. Finally, we can look forward to a family reunion?